The two little panda cubs born at Toronto Zoo are now a month old! Although they were born pink and hairless, they now resemble their mother Er Shun with the distinctive black and white markings. The larger of the cubs weighs 1 kg, while the smaller one weighs 750 grams. Er Shun and her cub. Photo by Toronto Zoo. 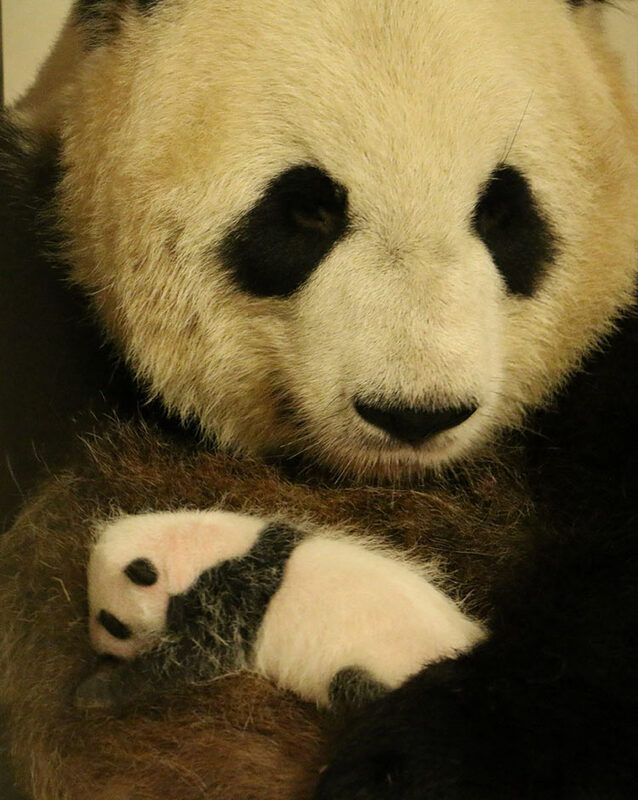 Learn more about Toronto Zoo’s giant panda cubs at their website. Learn more about pandas at our giant panda facts article. This entry was posted in Animal Videos, Baby Animals, Zoos and Aquariums and tagged giant panda, toronto zoo by admin. Bookmark the permalink. they are so cute right.